Sacorhiza polyschides, RÃ­a de Vivero, Galicia, Spain, 2013, Ignacio BÃ¡rbara. Ignacio Bárbara. © Ignacio Bárbara (barbara@udc.es). 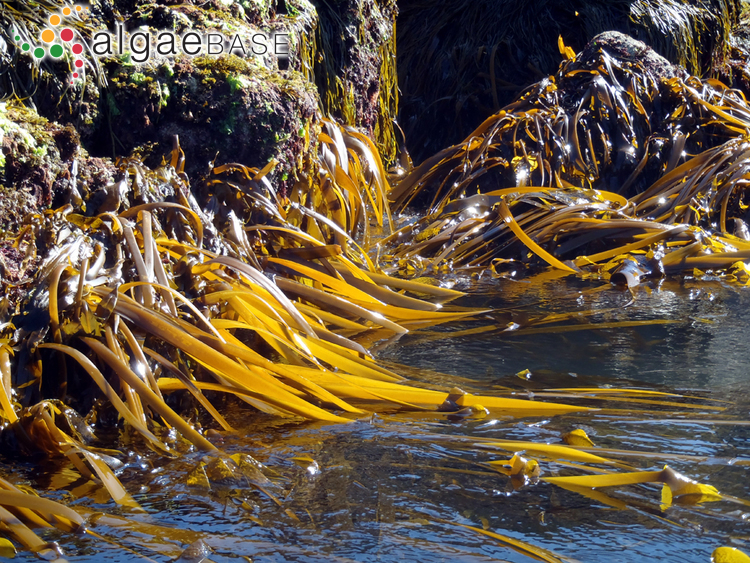 Sacorhiza polyschides, RÃ­a de A CoruÃ±a, Galicia, Spain, 2013, Ignacio BÃ¡rbara. Ignacio Bárbara. © Ignacio Bárbara (barbara@udc.es). Sacorhiza polyschides, with Phyllariupsis brevipes subsp. pseudopurpurascens, RÃ­a de A CoruÃ±a, Galicia, Spain, 2013, Ignacio BÃ¡rbara . Ignacio Bárbara. © Ignacio Bárbara (barbara@udc.es). 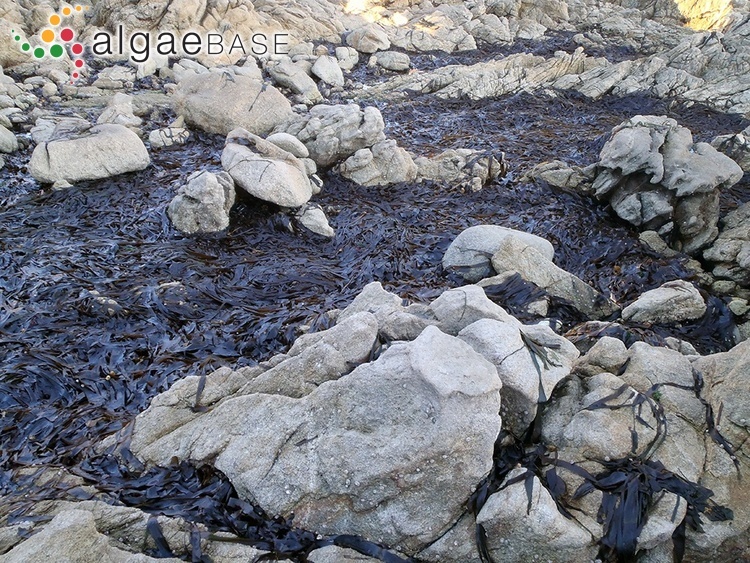 Sacorhiza polyschides, lower intertidal, South of Galicia, Spain, 2013, Ignacio BÃ¡rbara. Ignacio Bárbara. © Ignacio Bárbara (barbara@udc.es). 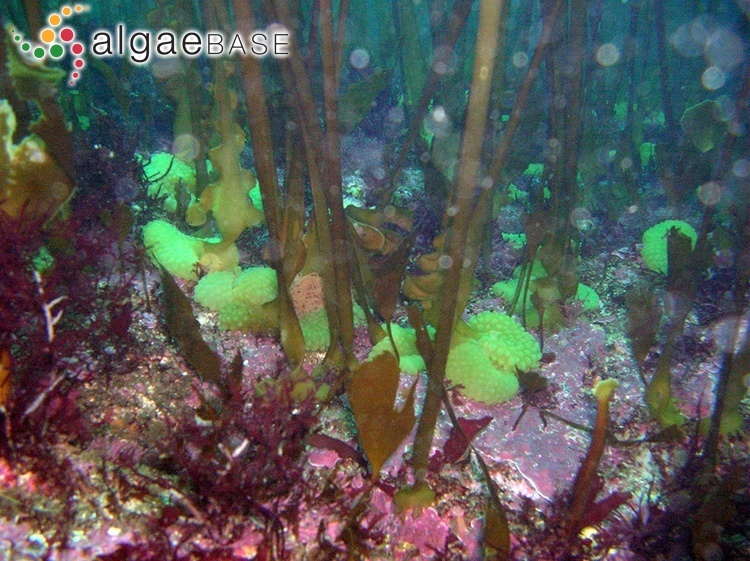 Sacorhiza polyschides, subtidal, RÃ­a de A CoruÃ±a, Galicia, Spain, 2013, Ignacio BÃ¡rbara. Ignacio Bárbara. © Ignacio Bárbara (barbara@udc.es). 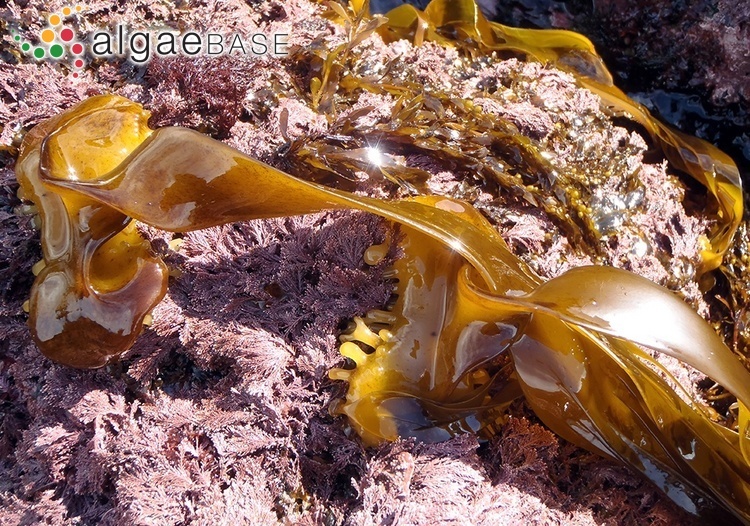 The type species (holotype) of the genus Saccorhiza is Laminaria bulbosa J.V.Lamouroux. Gaeilge: Claidhmh, Madra, Clabhthaí, Cabhthaí (Brennan 1950), Claíomh (Anonymous 1978). English: Furbelows (Arasaki & Arasaki 1983), Furbellows (Bunker et al. 2010). Accesses: This record has been accessed by users 65518 times since it was created. Borja, A. & Gorostiaga, J.M. (1990). Distribución geográfica de Saccorhiza polyschides (Lighf.) Batt. en la costa vasca. Su posible relación con la temperatura. Bentos 6: 1-8. Fernández, C. (1982). Estudio cuantitativo de la fase microscópica de Saccorhiza polyschides (Lightf.) Batt. : demografía y crecimiento. Actas 1º Simp. Ibérico Est. Bentos Marino, pp. 391-403 . Fernández, C. (2011). 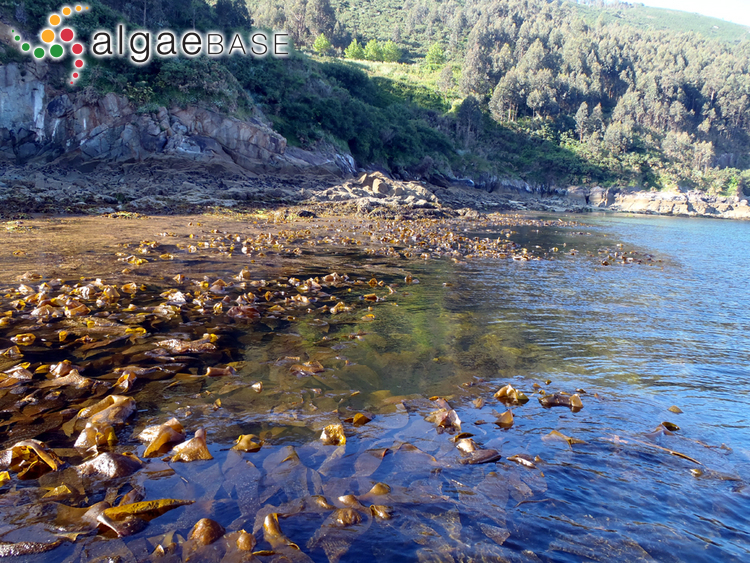 The retreat of large brown seaweeds on the north coast of Spain: the case of Saccorhiza polyschides. European Journal of Phycology 46(4): 352-360. Fernández, C.. (1980). Estudios estructurales y dinámica del fitobentos intermareal (facies rocosa) de la región de Cabo Peñas con especial atención a la biología de Saccorhiza polyschides (Light.) Batt. PhD Thesis. Universidad de Oviedo. Jensen, A., Indergaard, M. & Holt, T.J. (1985). Seasonal variation in the chemical composition of Saccorhiza polyschides (Laminariales, Phaeophyceae). Botanica Marina 28: 375-381. Norton, T.A. & Burrows, E.M. (1969). 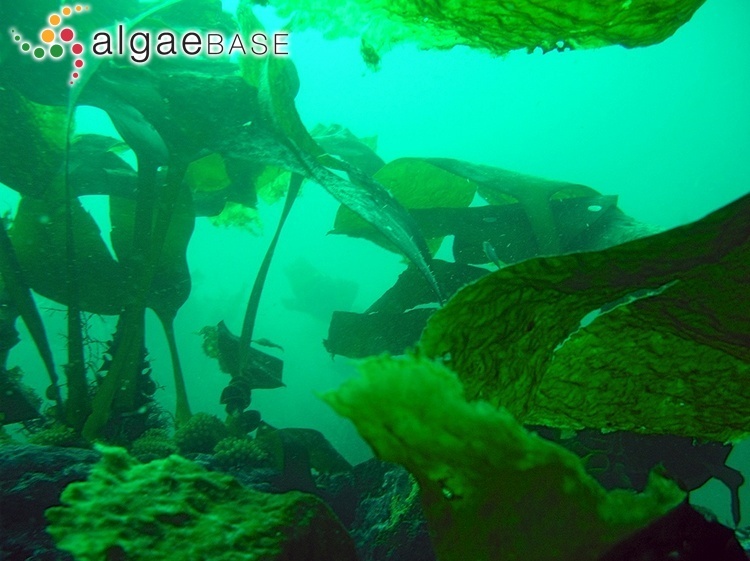 Studies on marine algae of the British Isles 7. Saccorhiza polyschides (Lightf.) Batt.. British Phycological Journal 4: 19-53. Norton, T.A. & Burrows, E.M. (1969). The environmental control of the seasonal development of Saccorhiza polyschides (Light.) Batt.. 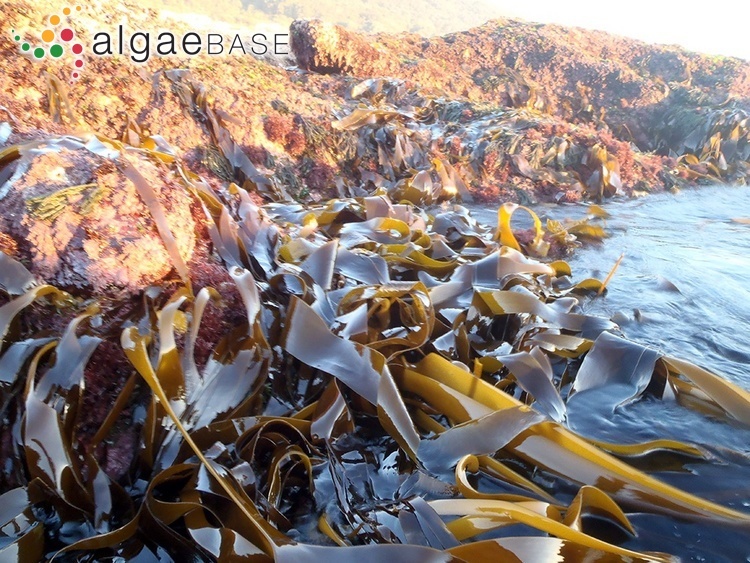 Proceedings of the International Seaweed Symposium 6: 287-296. Norton, T.A. (1969). 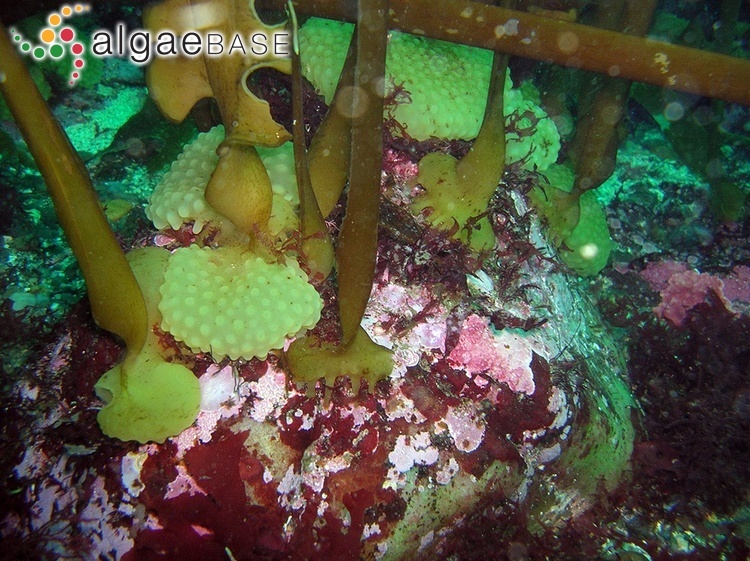 Growth form and environment in Saccorhiza polyschides. Journal of the Marine Biological Association of the United Kingdom 49: 1025-1045. Norton, T.A. (1970). Synopsis of biological data on Saccorhiza polyschides. FAO Fisheries Synopsis No 83: 11-93. Norton, T.A. (1973). Orientated growth of Membranipora membranacea (L.) on the thallus of Saccorhiza polyschides (Lightf.) 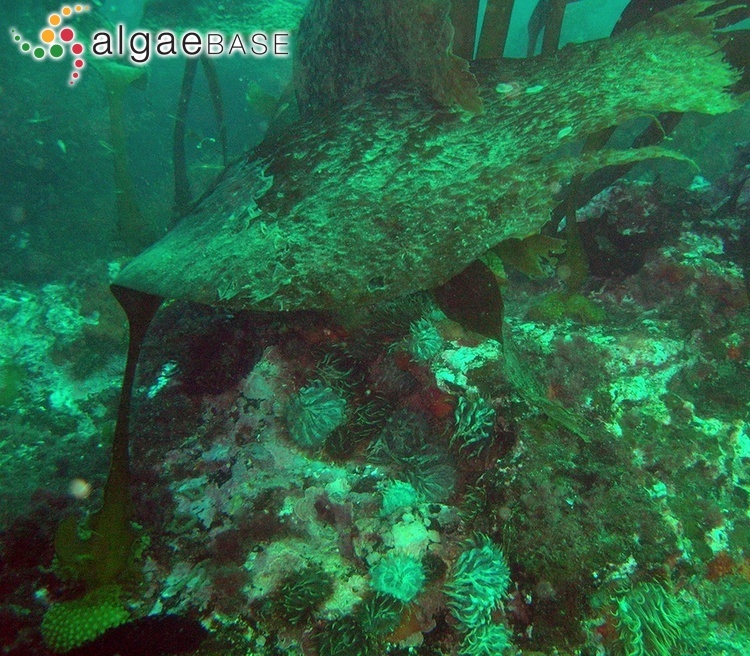 Batt.. Journal of Experimental Marine Biology and Ecology 13: 91-95. Norton, T.A. (1977). Experiments on the factors influencing the geographical distributions of Saccorhiza polyschides and Saccorhiza dermatodea. New Phytologist 78: 625-635. Norton, T.A. (1978). The factors influencing the distribution of Saccorhiza polyschides in the region of Lough Ine. 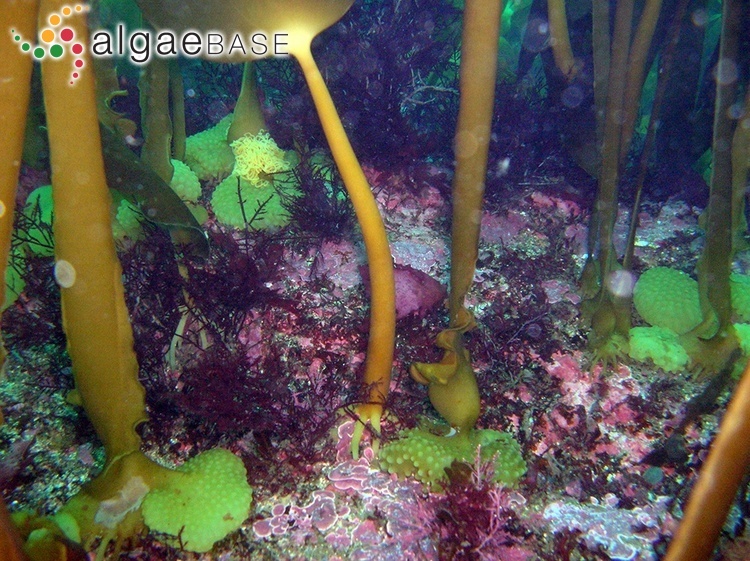 Journal of the Marine Biological Association of the United Kingdom 58: 527-536. Svendsen, P. (1962). Some observations on Saccorhiza polyschides (Lightf.) Batt. 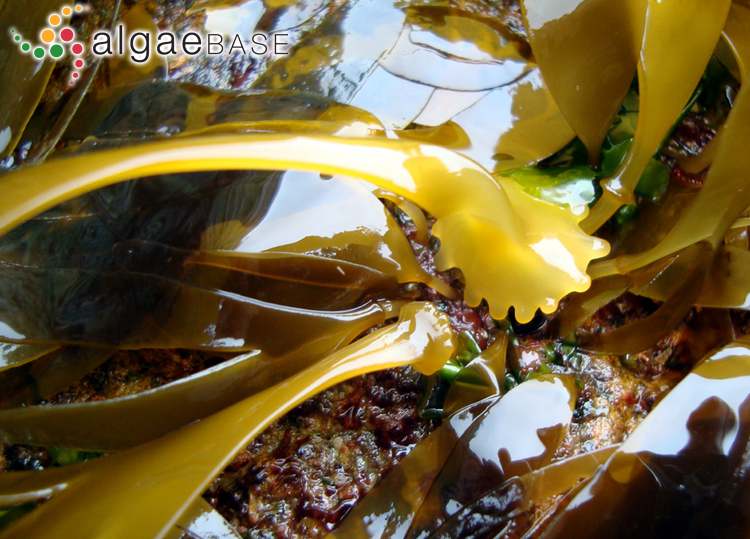 (Phaeophyceae). Sarsia 7: 11-13.